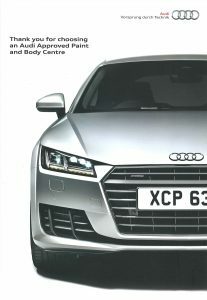 We are an approved paint & body centre for Volkswagen Group (VWG). This means we are approved for Audi, Seat, Skoda, Volkswagen and Volkswagen Commercial. So no matter if you have a Seat Mii or an Audi R8 your vehicle will receive the same standard of repair that all Volkswagen Group vehicles require. 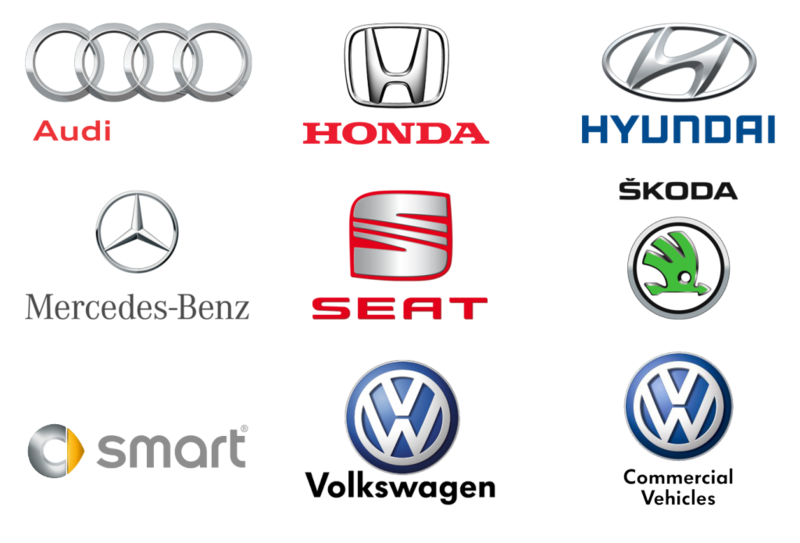 We use nothing but the Volkswagen Group’s approved paint, approved tools, approved parts, approved methods and approved technicians to repair your vehicle. Our staff receive regular training with VWG to ensure we stay up to date with the latest models, repair methods and technologies. We are committed to ensuring that the repairs to your vehicle are completed to the highest standards and in line with the VWG approved repair methods. Whilst repairing your vehicle only genuine parts will be used. This means that your vehicle will remain in the high standard to which the VWG produce their vehicles. Workmanship: a 36-month repair warranty on the completed work. Parts: a 24-month parts warranty, as standard for VWG genuine parts. Paint: a 36-month paintwork warranty. Once the guarantee lapses, Brin Jones’ own Lifetime Guarantee will takeover and cover the remainder of the lifetime of the vehicle. You will also receive the opportunity to review our services and report back directly to VWG. To see our latest reviews please click here. Our aim is to ensure that you, as our customer, are extremely satisfied with our work. Which is why we are currently rated 4.8 stars out of 5 on Facebook and Google . We are constantly investing in the newest and best technologies and training for our technicians to ensure that we are always ahead of the technology curve. We will always provide our award winning service, whilst your vehicle will always receive our award winning repairs. You will receive your vehicle safely repaired back to its original condition as defined by its manufacturer, with a guarantee of workmanship that covers the parts, paint and the labour.